The attacks by the militant group Al-Shabaab at Garissa University College are a sad reminder of the extreme insecurity Kenya faces every day – and the high stakes of its struggle with one of the world’s deadliest terror groups. At around 5am local time on April 2, armed gunmen set off explosions in the north-eastern town, 90 miles from the Somali border, before storming one of the university’s residential hostels. The death toll is rising, many are wounded and an unspecified number are reportedly being held hostage. The attack follows a drone strike that killed Adan Garar, the “mastermind” of the 2013 Westgate mall attack, which prompted a number of foreign Governments to extended travel warnings against the East African country. But there is another risk at work here. 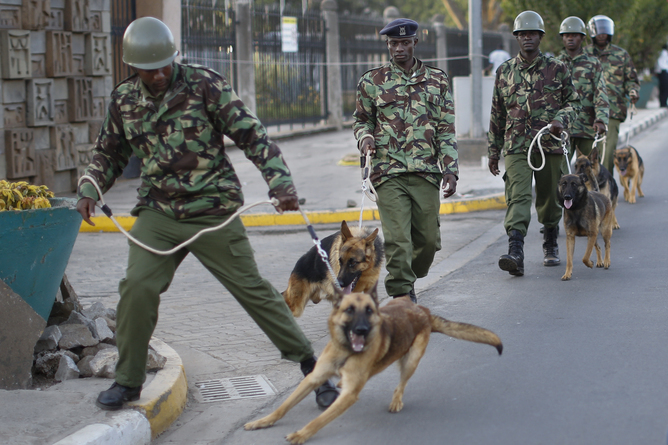 In the past, attacks like the Garissa incident have been followed by drastic crackdowns on Kenyans' civil liberties. This must not be allowed to happen again. The Garissa massacre comes only weeks after Kenya’s High Court upheld a decision to suspend eight clauses from the government’s controversial security law. These changes to the law had been introduced to try to help the fight against Al-Shabaab, but they were instantly controversial. If the law had been implemented as passed, it would have allowed the state to detain suspects without charge for nearly a year. There would be more room for surveillance of citizens via intercepted communications data. Freedom to protest would have been limited, and restrictions placed on information deemed “insulting, threatening, or inciting” or likely to inspire fear. Somali refugees are among the most seriously affected by theses security laws. The Kenyan government sees their very presence as just another of the security threats the country has faced since invading Somalia in 2011, and the subsequent spate of Al-Shabaab attacks within Kenya’s borders has led to a serious clampdown on refugees' freedoms. If fully implemented, the security laws would have confined most refugees to two overcrowded rural camps and capped the total number allowed to reside in the country at 150,000 – a huge reduction given the current total refugee population in Kenya is well over half a million. Dissenting voices and press freedom also came under attack. Journalists could have faced up to three-year prison terms for producing reports that were deemed to undermine security operations or investigations, and would have to seek increased police permission when reporting on domestic terrorism-related stories. These clauses came shortly after a controversial Al-Jazeera investigative report that accused the Kenyan police of carrying out hundreds of extra-judicial killings. Changes to the country’s security laws could have potentially made this report illegal. The same month saw over 500 non-governmental organisations closed, with an official government statement arguing that some NGOs “have been and continue to be used for criminal activities, including as conduits of terrorism financing”. Plans have also been announced for the building of an Israeli-style “separation barrier” along the border with Somalia to keep out Al-Shabaab, but which could further endanger the lives of those seeking refuge from the terrorist group. The irony is that Al-Shabaab is struggling to remain relevant in a world preoccupied with Islamic State, and with the AMISOM-led reconstruction of Somalia progressing. If Kenya treats its Somali refugees and many of it’s citizens badly, it could drive scores of new recruits into the group’s hands at a critical moment. Despite the high court’s check on the worst parts of the law, the vast majority of the clauses passed in December 2014 remain unchallenged, setting up a long legislative battle that Al-Shabaab’s continued attacks are clearly intended to swing. Depressingly, the fetish for security is in large part a product of domestic problems. The saga of the bill been a welcome distraction from President Kenyatta’s long running trouble with the International Criminal Court, where until recently, he stood charged with crimes against humanity. The Kenyan people have resisted efforts like these before. In 2003, a terrorism bill similar to South Africa’s 2002 Terrorism Bill, the UK’s 2001 Anti-Terrorism Act and the US’s 2001 Patriot Act was defeated amid street protests in Nairobi. Kenyan civil society must remain similarly vigilant against future attempts to endanger rights and freedoms within the country. The attack on Garissa University College proves just how deadly the threat posed by Al-Shabaab is. The cost is terrible and the need to protect is acute – but overreaction is a serious risk. What are the challenges facing the new Israeli government?